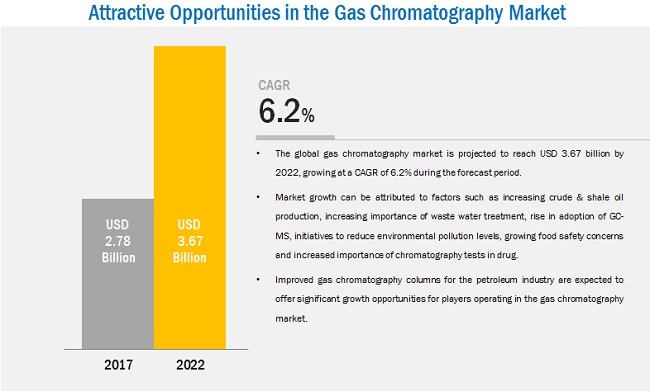 [167 Pages Report] The overall gas chromatography market is expected to reach USD 3671.0 million by 2022 from USD 2647.0 million in 2016, at a CAGR of 6.2%. The increasing crude & shale oil production, increasing importance of waste water treatment, rise in adoption of GC-MS, initiatives to reduce environmental pollution levels, growing food safety concerns and increased importance of chromatography tests in drug are the key factors driving the growth of this market. Owing to technological advancements, GC systems are witnessing a shift from laboratory settings to miniaturization, thus increasing their scope in production plants. 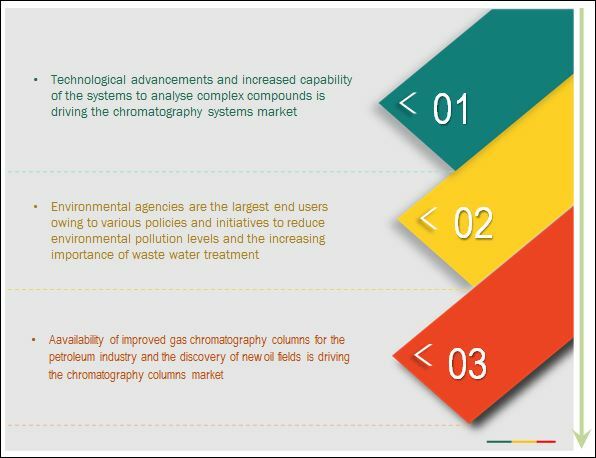 Moreover, these advancements also increase the capabilities of gas chromatography in the analysis of complex compounds. For instance, the MicroGC Fusion is a small, easy to use, gas chromatograph (GC) specifically designed for gas analysis in the concentration range of low ppm to percentage levels. Considering the potential applications of GC-MS and the growing demand for the technique, major companies are focusing on launching GC-MS instruments in the market. For instance, in September 2014, Agilent Technologies, Inc. (U.S.) launched the 7200B Quadrupole Time of Flight (Q-TOF) Gas Chromatography Mass Spectrometer (GC/MS). This system offered improved mass accuracy and stability with a focus on pesticide screening software tools. This has resulted in increased application of GC-MS instruments in the field of biotechnology. 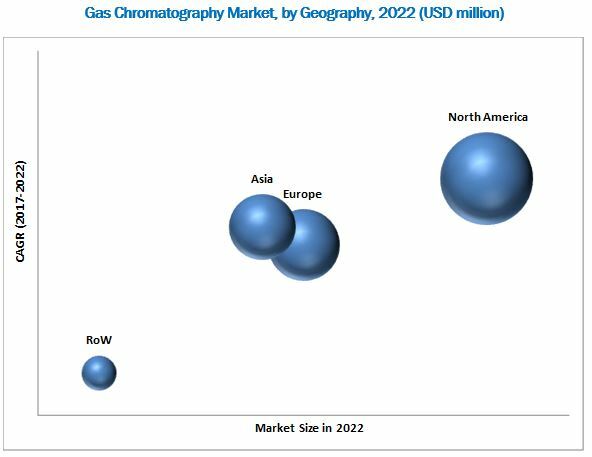 The gas chromatography market comprises a network of players involved in the research and product development; raw material supply; component manufacturing; distribution and sale; and post-sales services. Major players in the market are Agilent Technologies, Inc.(U.S), Shimadzu Corporation(Japan), Thermo Fisher Scientific, Inc. (U.S.), and PerkinElmer, Inc.(U.S.). The global gas chromatography market is expected to reach USD 3.67 billion by 2022 from USD 2.64 billion in 2016, at a CAGR of 6.2%. Increase in crude & shale oil production, increasing importance of waste water treatment, rising adoption of GC-MS, initiatives to reduce environmental pollution levels, growing food safety concerns, and increased importance of chromatography in drug testing are the key factors driving the growth of this market. Gas chromatography is an analytical separation technique used to analyze volatile substances and separate organic compounds in the gas phase. By separating the sample into individual components, GC allows to identify (qualitative) and measure the amount (quantitative) of the various sample components. These measurements of organic compounds allow applications in petrochemical and pharmaceuticals, environmental measurements of aromatic pollutants in air and water, and in the detection and measurement of pesticides, among others. The market has been segmented, on the basis of instruments, into systems, detectors, auto-samplers, and fraction collectors. The systems segment is projected to register the highest CAGR during the forecast period. The growth of this segment can primarily be attributed to factors such as increased capability to analyze complex compounds and technological advancements. The market in North America is expected to grow at the fastest CAGR during the forecast period. The increase in the U.S. shale gas production, growing funding for environmental testing and clean-up in Canada, increasing funding for R&D activities in healthcare & environmental industries, and growth in food testing industries are driving the growth of this region. The oil & gas industry is the largest end-user segment in the market. Gas chromatography helps in monitoring and testing refined petroleum products in the oil & gas industry. It also helps in the purity and contamination analysis of trace levels and ultra-trace detection levels of ppm (parts per million), ppb (parts per billion), and ppt (parts per trillion). A wide variety of contaminants with the potential to cause harm to humans and animals make their way into the environment. They can be found in the air, water, and soil and may come from industrial waste, landfill sites, and pesticides. Identifying these contaminants is challenging because of the huge variety of compounds with varying chemical compositions. Gas Chromatography detects trace organic compounds in these environmental samples. The food & beverage industry is very competitive and dynamic in nature with the increasing health concerns of consumers and demand for high-quality, safe, and nutritious products. The change in customer preferences and increasing government regulations has led to the evolution of this industry. The regulatory conditions have forced manufacturers to produce better quality products in compliance with government standards. What are the upcoming industry applications for gas chromatography? The high cost of gas chromatography equipment is a major factor restraining the growth of the market. Gas chromatography instruments are equipped with advanced features and functionalities and thus are priced at a premium. The cost of a new instrument differs as per the applications. For instance, gas chromatography instruments used in the petrochemical industry are costly as they use capillary columns to separate compounds like oxygen, hydrogen, and methane. Companies in the oil & gas industry, food & beverage industry, and biotech & pharmaceutical industry require many such systems, and hence the capital cost spent on these systems increases significantly. 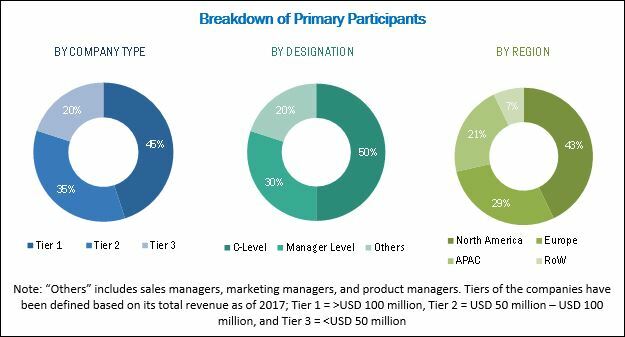 Key players in this market include Agilent Technologies, Inc. (U.S), Thermo Fisher Scientific, Inc. (U.S), Shimadzu Corporation (Japan), PerkinElmer, Inc. (U.S), Danaher Corporation (U.S), Scion instruments (Techcomp USA Inc.), Leco corporation (U.S), Merck KgaA (Germany), Falcon Analytical Systems &Technology, LLC (U.S), Restek Corporation (U.S), Dani Instruments S.P.A. (Italy) and Chromatotec (France). These players are increasingly undertaking mergers and acquisitions, and product launches to develop and introduce new technologies and products in the market. 9.3.2.1 Growing Focus on the Oil & Gas Industry in the U.K.
*Top 25 Companies Analyzed for This Study are - Agilent Technologies, Inc., Shimadzu Corporation, Thermo Fisher Scientific, Inc., Perkinelmer, Inc., Merck KGaA, Danaher Corporation, Restek Corporation, DANI Instruments S.P.A, LECO Corporation, Scion Instruments, Falcon Analytical Systems & Technology, LLC, Chromatotec, Ldetek,Inc., Chromatec Instruments, Analytical Flow Products, SGS Malaysia Sdn Bhd, Spectrochom, Ametek, Inc., Tosoh Corporation, Metrohm Ag, Novasep Holding S.A.S., Inficom Holding Ag, Chromperfect, Infometrix, Inc., Scientific Instrument Services, Inc.